﻿ Chicago Hispanic Newspaper, Lawndale News, Hispanic Bilingual Newspapers, Su Noticiero Bilingue » Are You Ready For the Winter Season? April 25, 2019 2:45 am You are here:Home Business Are You Ready For the Winter Season? Posted by Editor on November 27, 2014 in Business | Comments Off on Are You Ready For the Winter Season? We may not want to admit it, but the winter season is here and with it comes heavy snows, hazardous ice, and unpredictable situations. 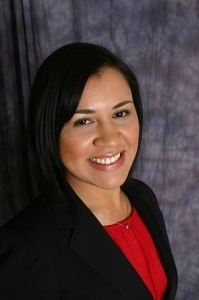 It is for these reasons, State Farm Agent Elvia Torres urges Lawndale News readers to prepare themselves for unforeseen circumstances on the road. “When we step foot into our car we never think something bad will happen, like get a flat tire,” said Torres. “We just assume we will have a smooth ride home, but with winter here we just never know what will happen on the road.” With Thanksgiving occurring Thursday many cars will be on the road heading from one household to another, Torres advises drivers keep practical items in their car in case of an emergency. According to a study conducted by State Farm, approximately 73 percent of Latino drivers say they have non-emergency items cluttering their trunks. State Farm has compiled a list of essential roadside items that drivers should always have in their car. “Here at State Farm it is our job to make every driver’s journey safe,” said Torres. Don’t use cruise control on icy roads.